Katherine Benesch - Mediator & Arbitrator based in Princeton, New Jersey. If you’d like a list of available dates for Katherine Benesch, please submit a request below. Ms. Benesch has been active in alternate dispute resolution for over twenty years and has served as an arbitrator, mediator, referee and special master in numerous complex commercial and healthcare cases. Ms. Benesch serves on the Commercial Panel of Arbitrators, the Panel of Mediators, the National Healthcare Panel, and the International Centre for Dispute Resolution (ICDR) of the American Arbitration Association (AAA). Ms. Benesch is a member of the American Health Lawyers Association (AHLA) Dispute Resolvers panel, and serves at the request of the President of AHLA as a member of its 5-person ADR Service Review Board. As an arbitrator and mediator she has handled cases involving international, nationwide, regional and local managed care and risk-sharing contracts, international clinical trials, reimbursement, hospital/physician relationships, physician practice group disputes, general complex commercial matters, music licensing and shareholder disputes. She also has served as Chair of the Healthcare and Life Sciences Committee of the International Institute for Conflict Prevention and Resolution (CPR), and as a member of the AAA Healthcare Advisory Council. Ms. Benesch is also a mediator certified by the United State District Court for the District of New Jersey. Ms. Benesch is a graduate of Duquesne University School of Law, Yale University School of Medicine (M.P.H.) and Wheaton College. 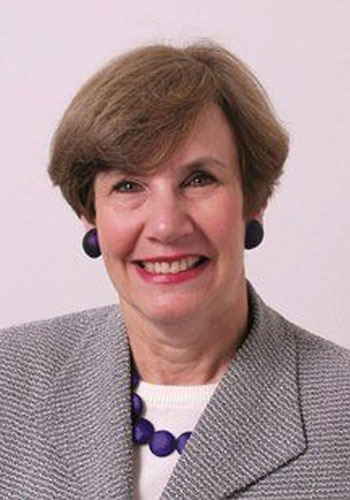 Ms. Benesch has served as Chairman of the Health and Hospital Law Section of the New Jersey State Bar Association, President of the Princeton Bar Association, Chair of the Princeton Regional Health Commission, Governor of the American Bar Association Health Law Section and is a Fellow in the American Bar Foundation. She has served as an Adjunct Assistant Professor at the University of Pittsburgh School of Medicine and the Robert Wood Johnson Medical School, and on the Technical Review Board of the Princeton Journal of Bioethics. She was named as one of twelve Outstanding Hospital Attorneys in the U.S. for 2004, has been elected a Super Lawyer by her peers since 2005, and is listed as one of New Jersey’s Top Rated Lawyers. She has an AV Preeminent Peer Review Rating with Martindale Hubbell. $500.00 per hour plus travel expenses..